Mexico’s Riviera Nayarit is preparing to add more hotel rooms as the fast-growing region’s popularity shows no signs of abating. The Pacific Coast region now has some 15,000 hotel rooms, and says Carlos Eguiarte, the Riviera Nayarit’s sales & promotion coordinator, it is looking at as many as 25,000 down the road. Among upcoming properties will be ones falling under the Hilton Conrad, Ritz-Carlton, Iberostar, and AMResorts banners. The Riviera Nayarit has built a following in this country, having what Eguiarte describes as “excellent connectivity” with Canada, with this past winter seeing WestJet, Transat, Air Canada, and Sunwing all carrying people to the region. Unsurprisingly, much of the region’s Canadian following is in the West, but Eguiarte says his area has built a following in Ontario as well and wants to make inroads in Quebec. The Riviera Nayarit has teamed up with bordering Puerto Vallarta to jointly attract tourists to the area, with those staying in Riviera Nayarit often spending some of their vacation in Puerto Vallarta and vice-versa. Puerto Vallarta has long drawn Canadians, many attracted by a traditional Mexican ambience that is revealed in part by cobblestone streets. But Eguiarte concedes there are some parts of his jurisdiction that have a comparatively low profile in this country. 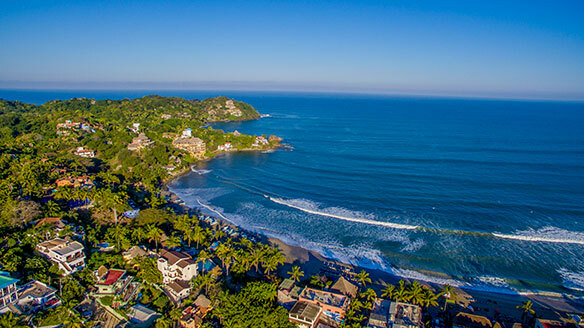 Those include Sayulita, which attracts often young visitors drawn by surfing opportunities there. 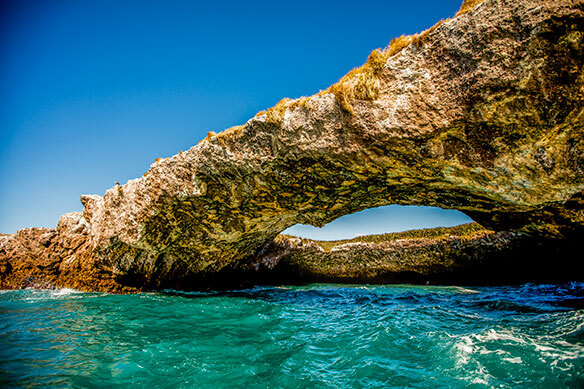 Hunting and fishing are forbidden in Riviera Nayarit’s Marieta Islands National Park, which has dozens of species of plant and animal life and has received UNESCO recognition. The islands’ Playa Escondida, in turn, is one of the “10 most exotic beaches in the world,” Eguiarte says of a beach actually found below the surface of an island. Punta Mita is home to upscale resorts, including a Four Seasons and a St. Regis.